Thanksgiving at my dads is a little more low key, which was great after a hectic, crowded one earlier in the week. We did Thanksgiving on Saturday night after Dan and Leanna got back from their dads. We just did a couple dishes and no turkey, although we did have ham. I don’t like ham, so I opted for some chicken. 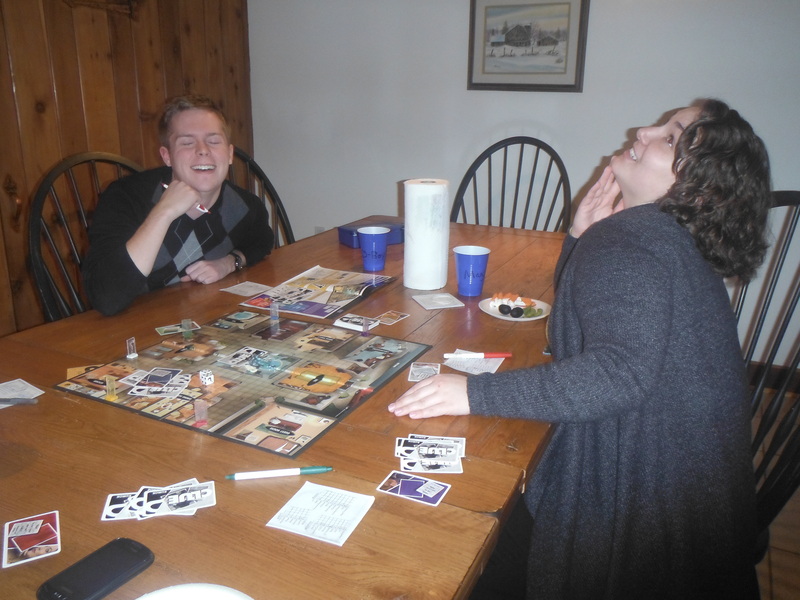 We are a big board game family and we love clue. We have probably every version that exists. 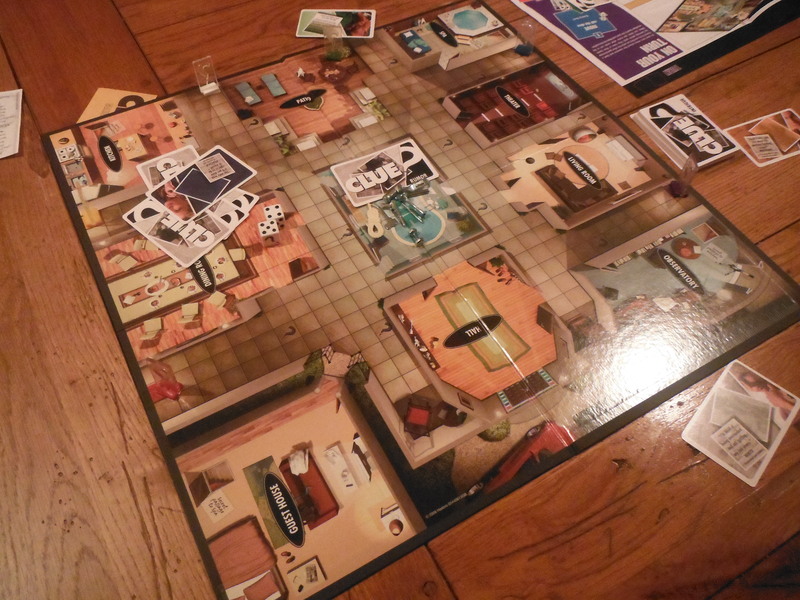 This year, Maggie got a new clue version, so we played that. Clue was fun, and intense as always! It was close between me and Daniel, but I had a card to move me anywhere on the board, so I got to the pool first and made my correct accusation! 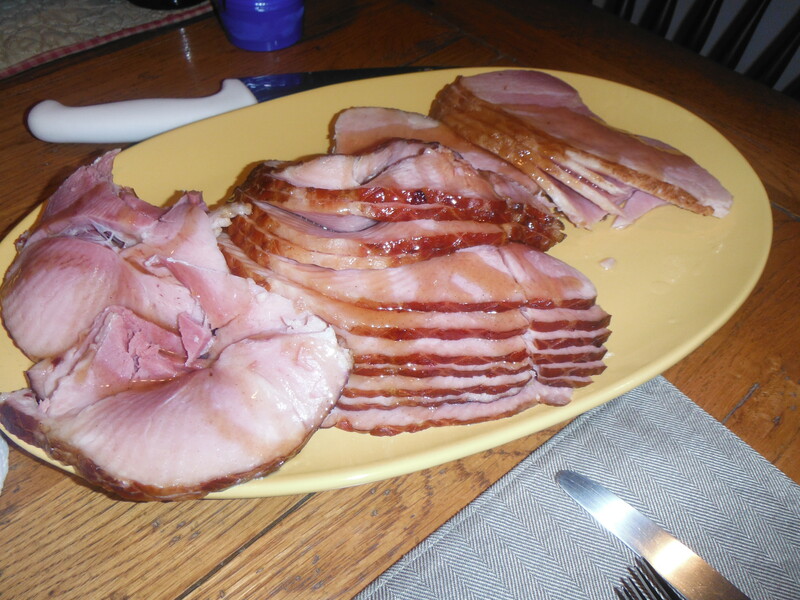 The ham looked good even though I don’t eat that sort of thing. I think lots of foods look and smell good but I don’t like them when they get in my mouth. Anyways, Sadie got a bone for the occasion and she even waited until grace was over to start eating it! So dinner was great and then we just hung around to watch some tv before making our way home extremely tired again. What a great second Thanksgiving!